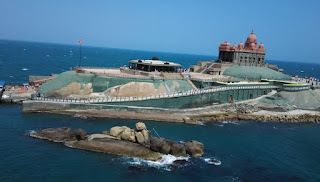 The Vivekananda Rock Memorial is located at Kanyakumari where the Arabian Sea and Bay of Bengal merge with the great Indian Ocean.It is situated on the top of a rock island, at a height of about 17 meters above sea level, covering an area of about 6 acres.Vivekananda Rock Memorial is dedicated to Swami Vivekananda, a disciple of Sri Ramakrishna Paramahamsa, the founder of Ramakrishna Mission.Here is some Fact about Swami Vivekananda Rock Memorial in Kanyakumari India. 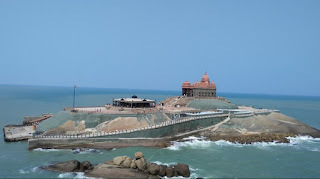 Address:Vivekananda Rock Memorial, Kanyakumari, Tamil Nadu. How to Reach by Rail: The nearest Railway station is Kanyakumari Railway station junction. How to Reach by Road : There are manypublic and private vehicals available to reach here. 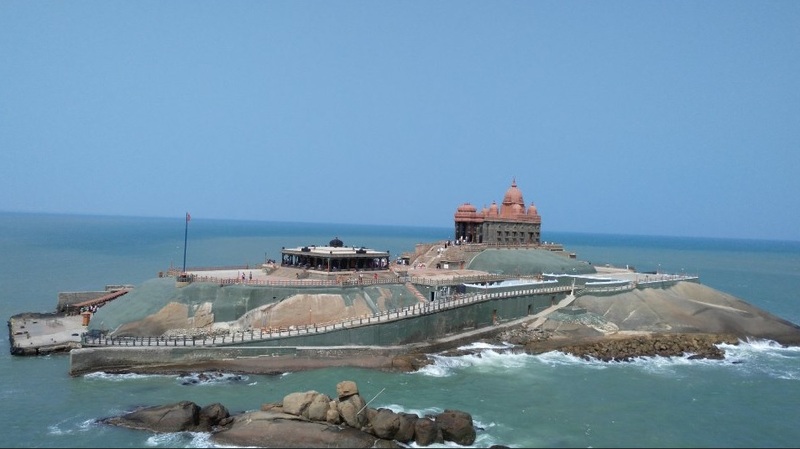 Kanyakumari is famous all across the world for Vivekanand rock that houses a memorial dedicated to Swami Vivekanand. 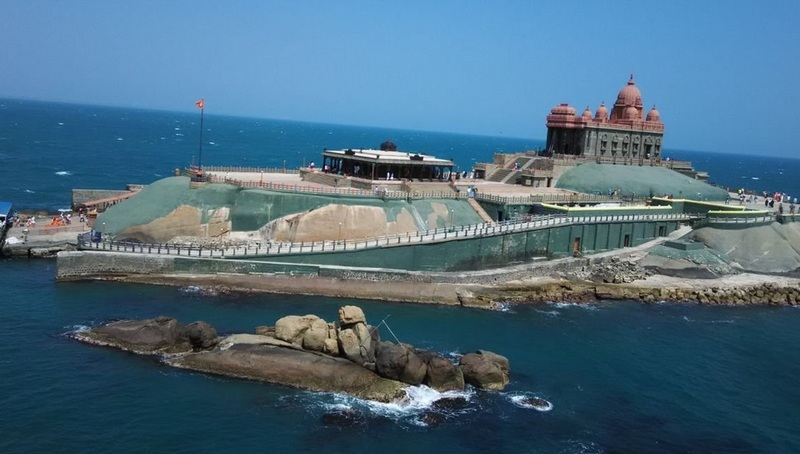 The memorial has two structures in its precincts - Vivekananda Mandapam and Sripada Mandapam on two rocks facing each other. 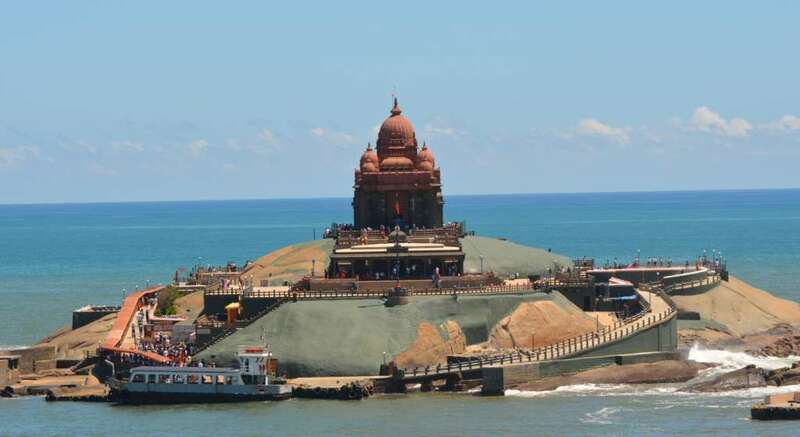 The smaller rock called 'Sripada Parai' is revered as a sacred spot where Goddess Kanya Kumari did meditation. 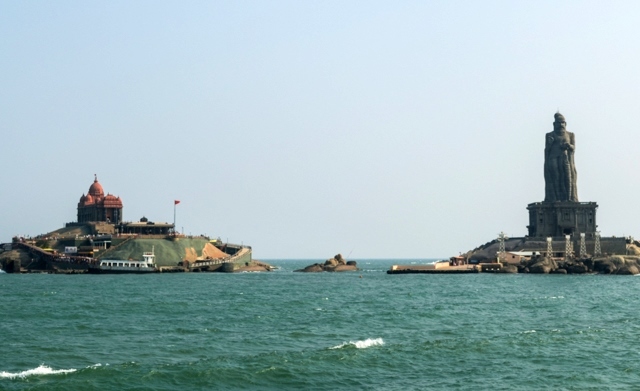 The rock has an impression of a human footprint, which is revered to be that of Goddess Kanya Kumari. 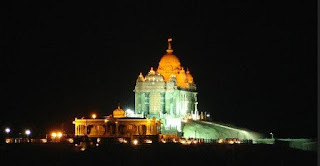 Vivekananda Mandapam is thronged by tourists from across the world and all those who seek mystical enlightenment come to meditate here. It has a Meditation Hall called Dhyan Mandapam where one can meditate in peace. 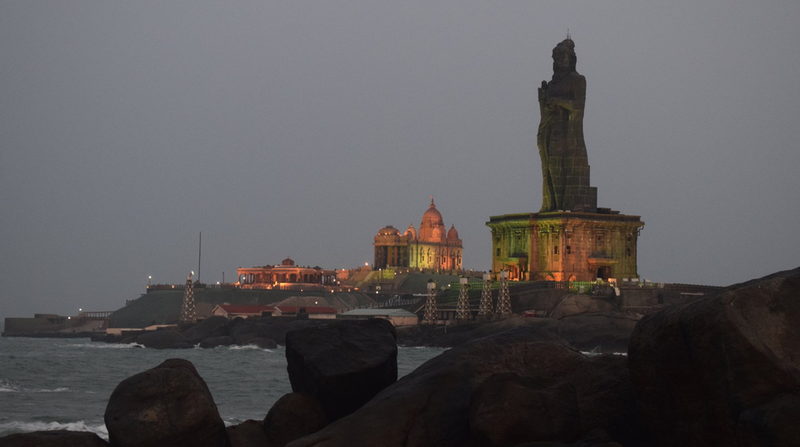 In the Assembly Hall or Sabha Mandapam there is a statue of Swami Vivekanand. 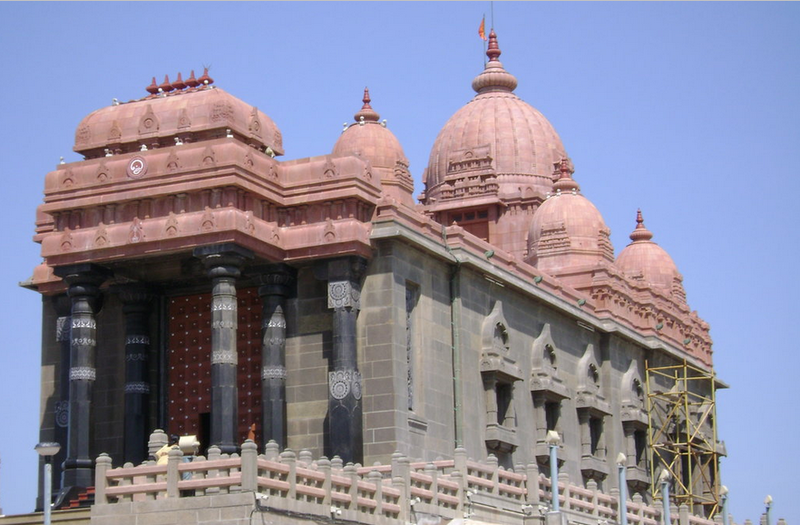 The design of mandapam has different styles of temple architectures of India, instilling a complete Indian essence within itself. While the main building has an architectural style reminiscent of the Sri Ramakrishna Temple at Belur, the entrance is inspired by the Ajanta and Ellora cave temples. 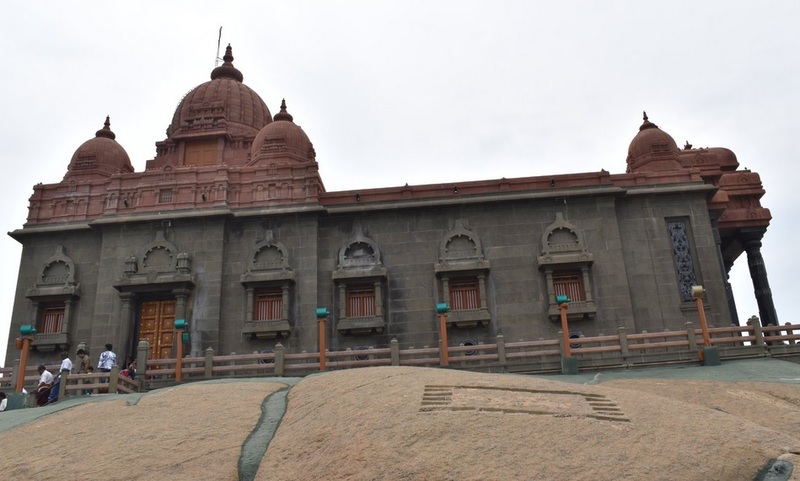 Inside the main hall is a life-size statue of the Swamiji. Besides the hall, there’s also a dhyana-mandapam, where devotees can sit in meditation. Adjacent to the main mandapam, is the Sri Pada Mandapam. 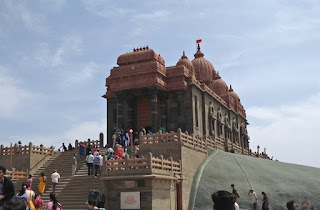 Vivekananda Mandapam and Shripada Mandapam are designed in such a way that the vision of Swamiji’s statue in Pralima Mandapam is directed towards the Shripadam. The different architectural styles of India have been incorporated in the construction of the Vivekananda Rock Memorial.